Whether working with recreational athletes, injured workers, or any other individuals, Steven W. Meier, MD provides each patient with the quality of care given to professional athletes. 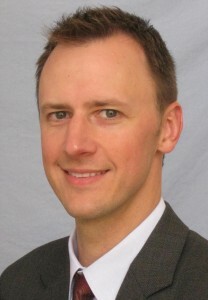 Dr. Meier utilizes multiple therapeutic techniques which may include an exercise program, rehabilitation, or minimally invasive surgery. When surgery is necessary, the most current and leading-edge technologies are employed, which typically result in less postoperative pain and faster recovery. Teaching and research are essential for staying at the forefront of this evolving medical specialty. Dr. Meier regularly presents his original research, performs surgery internationally, and teaches advanced arthroscopic procedures to surgeons all over the world in countries such as Europe, Asia, South America and Africa as well as within the United States. He has also published numerous articles in specialty textbooks and peer-reviewed journals. Since Dr. Meier is known to be a leading surgeon within his specialty, patients with difficult and complex joint disorders often seek him out, including those who have had surgery elsewhere with unsatisfactory results. As a consequence, patients often travel from out-of-state and overseas to receive the care of Dr. Meier. Dr. Meier has, with experience, refined how to individualize and streamline the practice of medicine to meet the demands of high-performance individuals while providing the same level of progressive treatment to athletes and non-athletes alike. In 2017, Dr. Meier was named a SuperDoctor by Los Angeles Magazine for the 10th consecutive year. He received this award for consistently performing the most cutting-edge orthopedic procedures, conducting extensive research in new and innovative treatment options, and providing the best and most personalized patient care. View the article at superdoctors.com. Dr. Meier was even featured in Sports Illustrated! Steven Meier, MD, performs first shoulder hemi cap arthroplasty at La Peer. La Peer’s Joint Surgery Center announces partial knee replacement to preserve joint. Dr. Meier Named a SuperDoctor in 2013 by Los Angeles Magazine for six consecutive years. Dr. Meier discusses challenges of soft tissue regeneration in rotator cuff injury. Dr. Meier performs unicompartmental arthroplasty in outpatient setting. Dr. Meier recognized as a Top Doctor by SuperDoctors Magazine. 20 Doctors from La Peer Health Systems named SuperDoctors of Souther California. Dr. Meier comments on a study regarding MSC therapy. Dr. Meier brings expertise to leading-edge regenerative medicines. Dr. Meier treats patients in Honduras for the Hackett Hemwall Foundation Teaching Trip. Dr. Meier explains the recent findings on shoulder arthroplasty. Dr. Meier performs a Natural Tissue Graft implantation surgery, the first procedure of its kind to be done in Los Angeles. Dr. Meier discusses the recovery timeline for Chicago Blackhawk’s star forward after an AC joint separation.